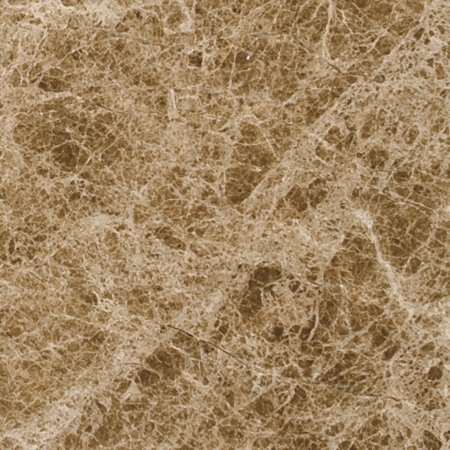 When choosing building materials for your project, marble is an excellent choice for looks, durability and style. 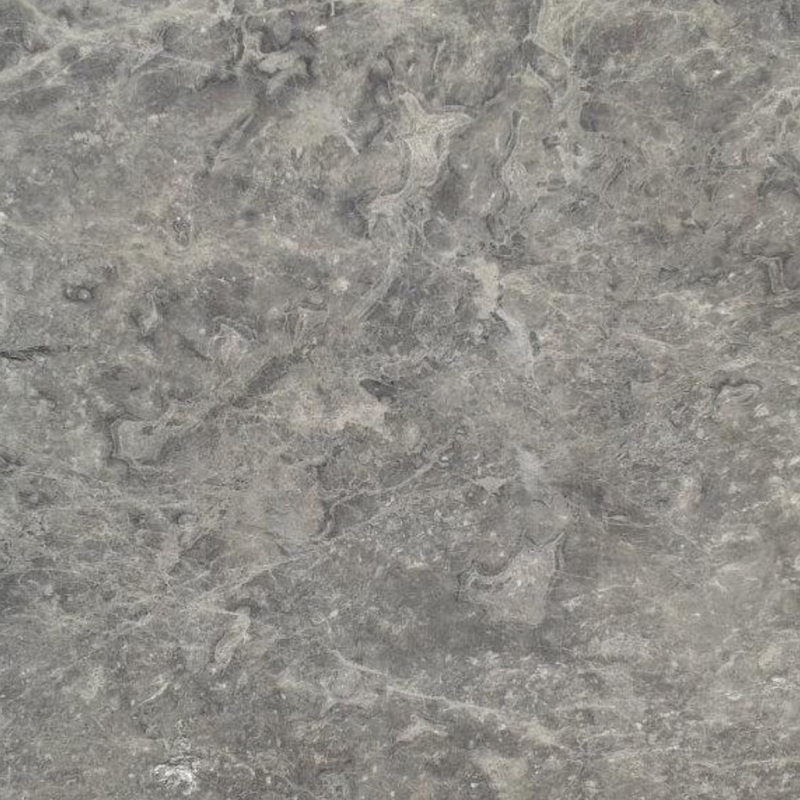 The one downfall of this versatile stone is that it may not fit neatly into your budget. In most cases, marble is the cost-effective choice because it will last longer and require minimal maintenance, but there are occasions where the long-term benefits will not outweigh the immediate cost. 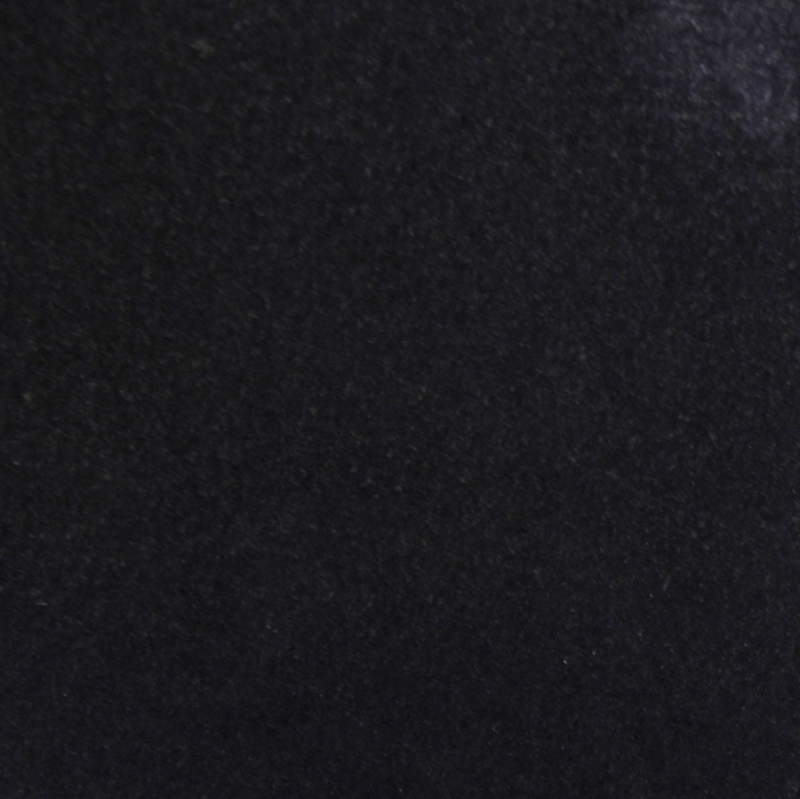 When you want the look of marble without the high cost, engineered stone may be the perfect compromise. It has the same beautiful look as marble and it’s just as durable. Non-porous and resistant to stains and bacteria, it’s a top choice for hospitals and schools. The white color goes with every type of décor, and the durable finish can handle high traffic areas without scratching or becoming damaged. You’ll appreciate the lower cost, but you’ll also love all of these benefits and more. Engineered stone is every bit as durable and attractive as natural marble, but it carries a lower price point that you’re sure to appreciate. It still features the high-polish finish and reflective nature of marble, but it lacks the delicate veining. However, it’s very similar in appearance to Nuevo White Carrara, and you’ll never notice the gray veins missing when you’re dealing with smaller surface areas like window sills and door thresholds. Visitors to your property will naturally assume that you’ve gone with a quality marble, but you’ll save money on the raw materials by going with this smart alternative. The problem with ceramic tiles is that only the outer portion of the tile has the color and finish you love, but this isn’t an issue with engineered stones. 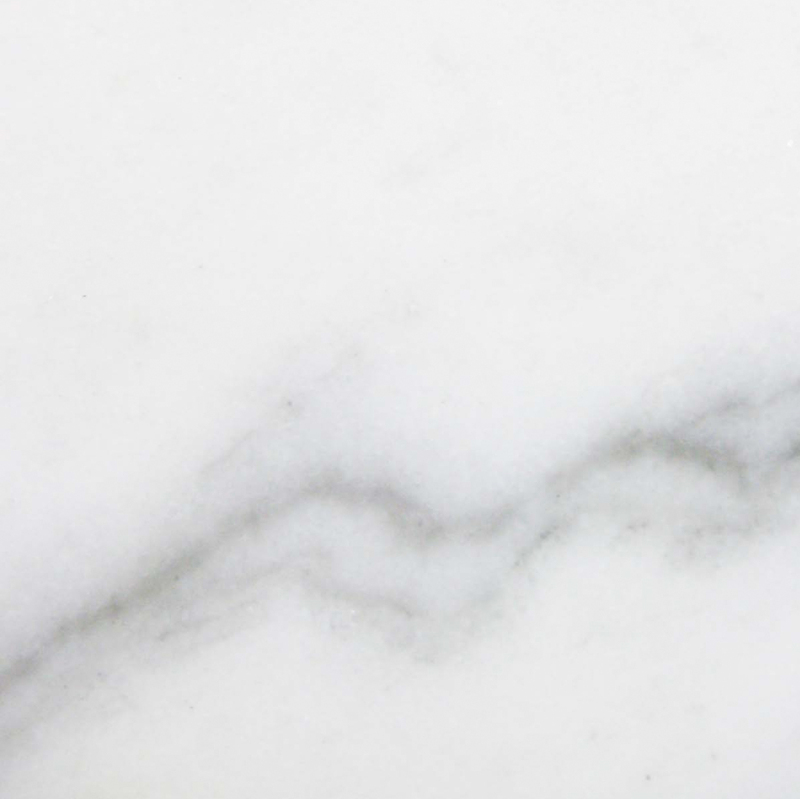 Just as marble carries the same impressive color throughout the stone, White Thazzoz also has the same beautiful white shade through all levels of the stone. When you cut the stones for application, the edges will feature the same impressive color as the main surface. Marble is known for its strength under foot traffic and time, and engineered stone is every bit as strong. It can be used in a range of applications, including floors, shower walls, window sills, and more. 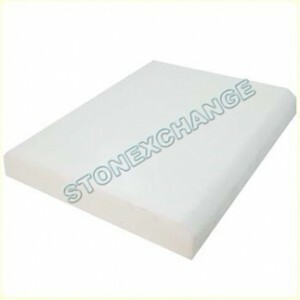 An advantage of any nonporous material is that it’s easier to clean and naturally anti-bacterial. Engineered stone feature a smooth finish, and the non-porous surface is not prone to holding moisture, stains, or germs. This is why pure White Thazzoz is commonly chosen for use in commercial settings including hospitals, schools, and public buildings. In a residential home, it’s a natural choice for the bathroom or kitchen, and you can rest assured that it will continue to look amazing for years to come. They’re also less prone to mold and mildew that can dig into other materials and become impossible to remove. Mold doesn’t feed on the components of engineered stone, so it won’t damage the surface of the material. 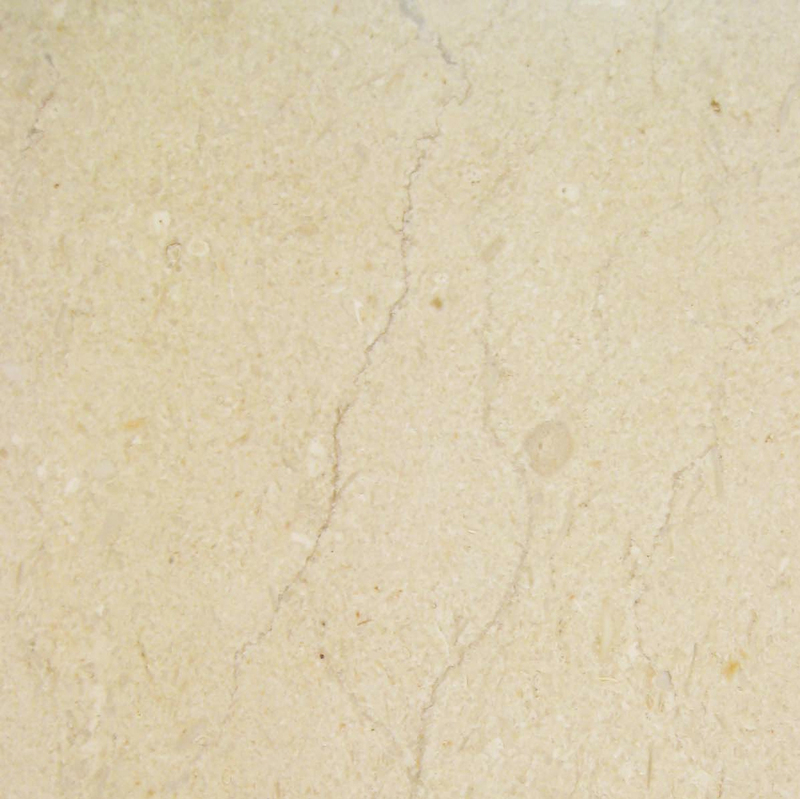 Marble is a prime candidate because the surface is very strong and resistant to scratches. This makes the product easier for everyday use, and it can easily be installed in high traffic areas. While you may love the idea of fitting your windows and doors with this durable surface, it’s natural to have some concerns over the cost of marble. When the marble sills are simply out of your budget, save money with engineered stones. The surface is just as strong and attractive as marble, so you still won’t have to worry about pets or shoes damaging the tiles. The stones will still look like new and have a beautiful finish years after the installation is completed. However, the lower price point ensures that your engineered stones will fit nicely in your budget and help you save money. When faced with several color choices, you may become overwhelmed, but pure white simplifies the matter and helps you move the process along. 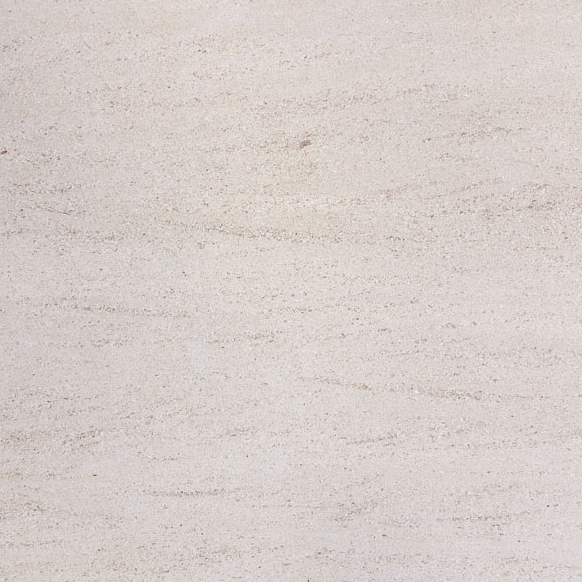 Engineered stone comes in a pure, true white color that’s free of veining, shades of other colors, and imperfections. It’s cleaner than a freshly painted surface, and it has a high polish finish that surpasses the shine on glossy paint. It matches any room color and can work with any décor from traditional to modern. The simplified color choice also allows you to order your sills and thresholds in bulk so that you can further lower the overall cost. 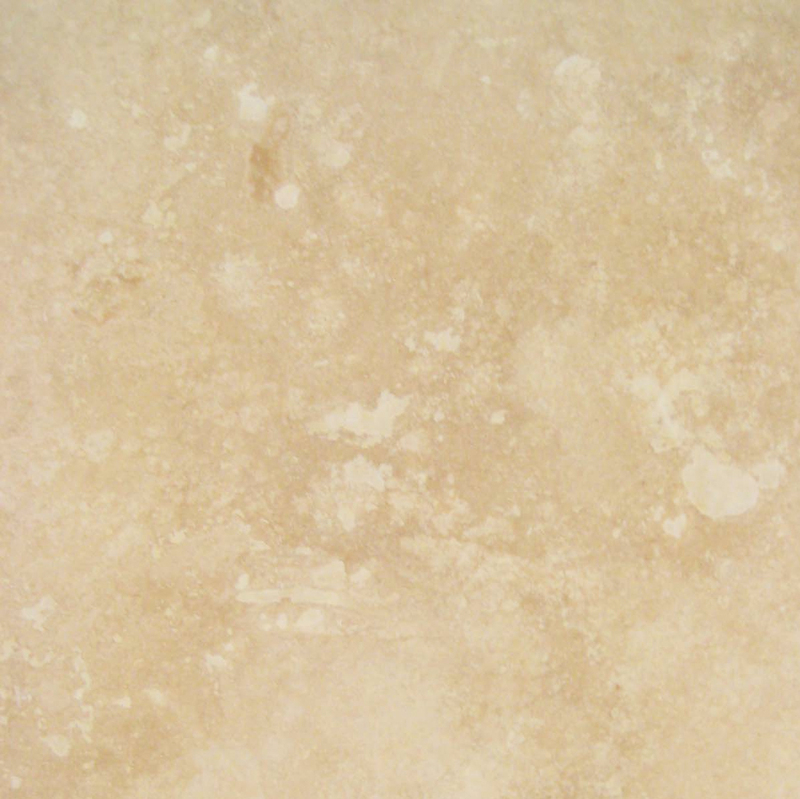 Like marble, engineered stone is available at retailers around the country. By the time the stones reach your neighborhood store, however, they’ve gone through several price markups. When you work with a wholesaler, you avoid the price increases and save money. 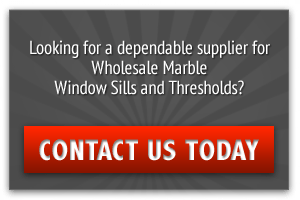 Stonexchange is a wholesale natural stone company offering several different types of window sills. We own our quarries and manufacturing centers overseas, so we’re able to implement effective cost-control measures throughout the process. We strive to bring our customers low, wholesale prices that make home improvement projects more affordable. Once you decide to save money with engineered stone, you can increase those savings by trusting Stonexchange for all of your sills, thresholds and stone tiles. When you’re ready to invest in white engineered stones, give us a call. We offer sills and thresholds in the most common sizes, and we pay close attention to detail on every order. We’re also happy to handle special orders on your behalf. If you need larger sills or other custom measurements, you can count on us to manufacture stones to your exact specifications. Orders are filled as promptly as possible, and we’ve partnered with national shipping companies that will continue our high level of service. We take great care when package orders to minimize the risk of damage. Customer satisfaction is our number one priority, so we’ll provide you with excellent service through every stage of the ordering and delivery process. We’ll help you save money on your project without sacrificing the quality or appearance of your finishing materials.